NEW Toy Machine pro series! 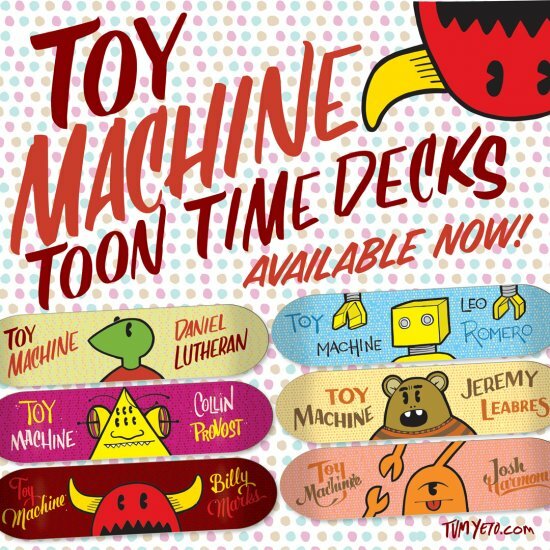 New TOON TIME board series available for consumption at your local skateshop! Guest artist series by Colt Bowden. NEW Day of the Dead pro wheel series! Toy Machine & PIG pros Leo Romero, Dan Lutheran, and Jeremy Leabres celebrate Dia de los Muertos aka Day of the Dead with this new PIG sidecut wheel series. 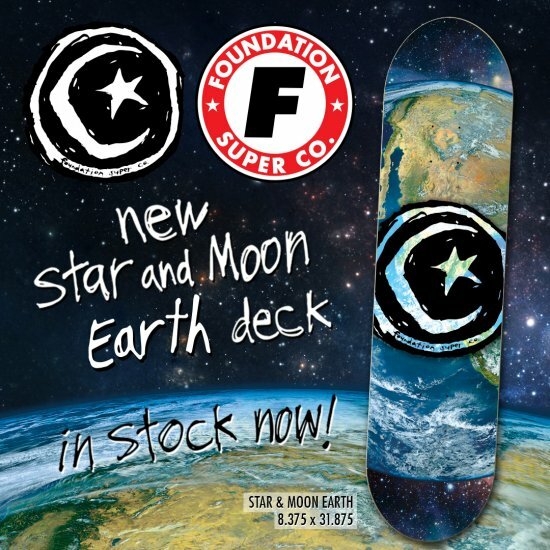 Hit up your local skateshop to #ridetheswine or purchase here! This Stanford double-bar is not for the vertically challenged. Major poppage is a requirement. Brandon floats from fakie to fakie, after a brief battle. 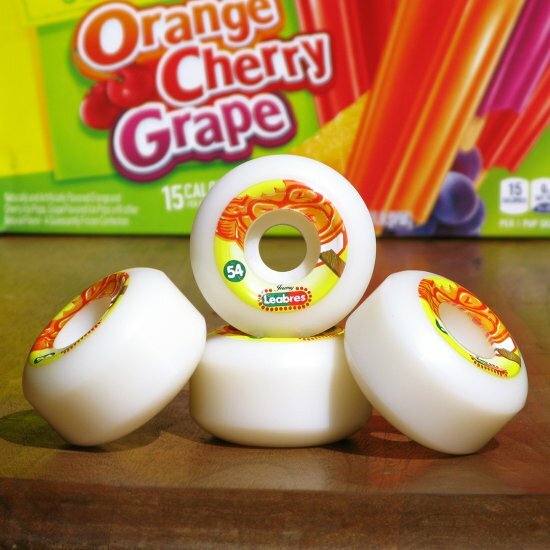 Jeremy Leabres' 1st pro wheel!! !